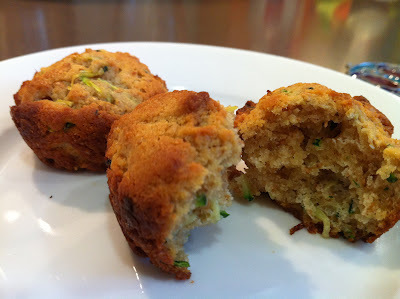 zucchini mini muffins | what is clara eating today? this is one of the first ketogenic recipe i had to come up with. clara was in preschool class that had make-your-own-snacks everyday. i asked the teacher to email me the snack list for every week, so i can prepare something similar for clara. this actually pushed me to try new things. zucchini muffin was the snack on the first week of class after clara started her diet. i use the atkins mix here since my older daughter is allergic to nuts… but it will taste really good with almond flour as well. mix well all the dry ingredients together. mix all the wet ingredients together and mix into dry mixture. mix in zucchini. divide the batter into the muffin pan. bake at 375 for 13-15 minutes.